For the last 5 years, I have had my home base in the Fresno area. 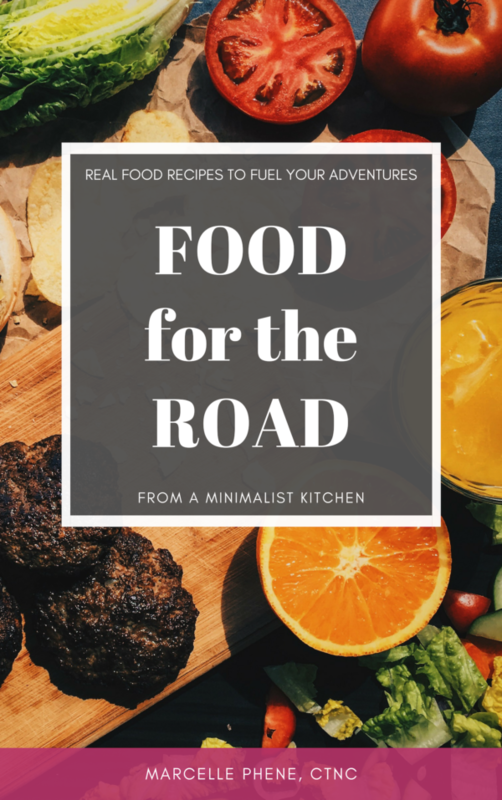 So it seems fitting that before I depart from my hometown community on my cross-country adventures, I ought to write at least one Mind & Body Nourishment in Fresno guide for some of my favorite spots in this area! Fresno doesn’t normally cross people’s’ minds as a destination city. But it is a popular spot for tourists given that it is the gateway for 3 phenomenal National Parks! People come from all over the world to see Yosemite National Park. In fact, I’ve visited the park more times with friends and family from other countries than I have with other Americans! Sequoia and Kings Canyon National Parks are also just a quick jaunt from Fresno. Ready to check off some bucket list destinations? Fresno is idyllic in its very central location within California. 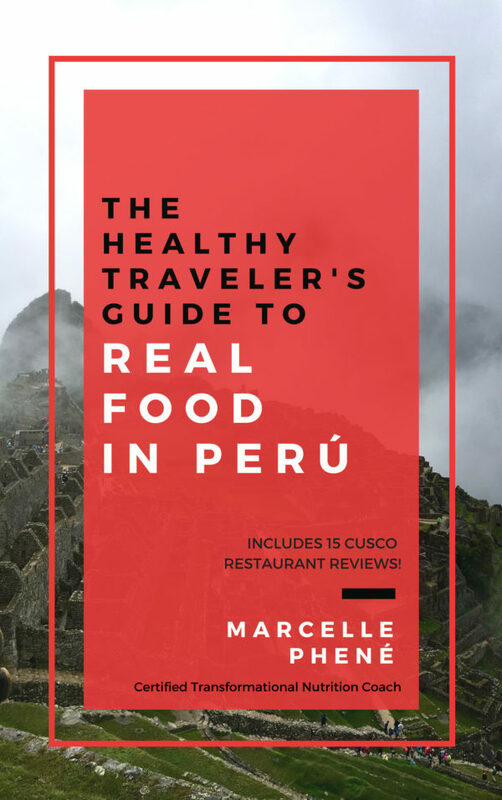 It is nestled amongst some of the world’s largest agricultural producers, stunning mountains, and not too far from the ocean – all making it a wonderful place to nourish your body, mind, and spirit! 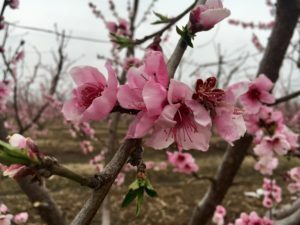 Whether it is your first time visiting or you are a Fresno local, here are my 7 recommendations for Mind & Body Nourishment in Fresno! 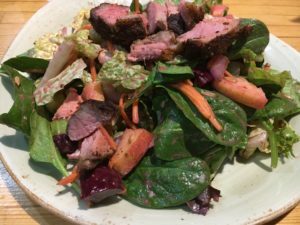 This restaurant quickly became one of my favorites once I discovered the awesomeness of creating your own salad! Every time I come in, I get something a little different but it’s always exactly how I want it! They also feature a number of salads that they designed, sandwiches, and a few entree style plates. What I love about Jack’s is that they were one of the innovators of California’s farm-to-table movement. 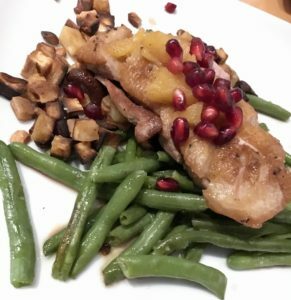 They source fresh, local, and seasonal ingredients that turn into yummy meals (no skimping here!) for a great price! They rock the casual Cali vibe well. 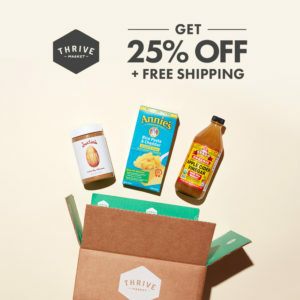 When you need your cold-pressed juice or smoothie fix, this is my favorite place to go! 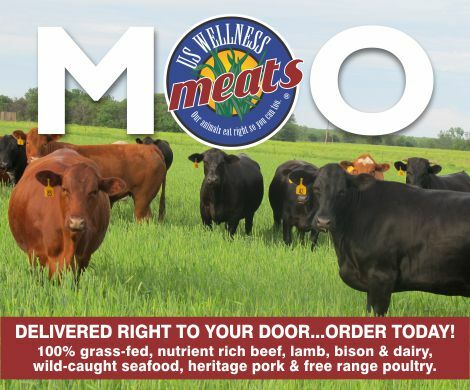 A local and family-owned business (about to open a 2nd location) that sources 100% non-gmo and more than 90% organic ingredients! They make their own almond milk fresh, in-house, daily to use in their smoothies and smoothie bowls. Everything is made to order, so while it does take a little more time to prepare than your typical smoothie joint, it is well worth the wait! (Plus, you can always call ahead.) The staff here are super friendly and helpful when it comes to making your order just right for you. I’ve tried a number of items from their menu and everything is delicious! 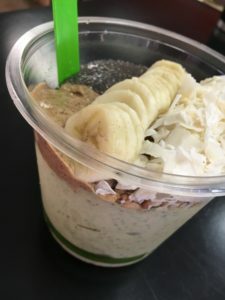 My favorite is their Almond Butter Bowl! They also have a state-of-the-art water purification system and you can bring in your water jugs and purchase water by the gallon. 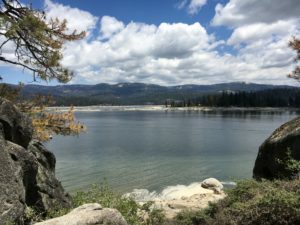 Shaver Lake is one of my all-time favorite places in the Central Valley. It is a picturesque mountain escape that feels like it is just around the corner. Less than an hour from the city, you will find an adorable mountain town, the scent of fresh pines, and a stunning lake! The area offers numerous trails for hiking or strolling, all sorts of water activities and rentals, and beautiful places for camping. In the winter there are plenty of snow sports options, too! Whenever I feel like I need to really connect with Mother Nature, this is my favorite spot to go and ground down. Vino Grille & Spirits is an excellent choice when you are in the mood for a beautiful meal. Brunch, lunch, and dinner are all amazing and their wine cave is impressive in its variety. 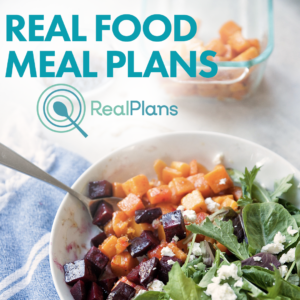 Their menu notates gluten-free options and they are very accommodating to food sensitivities. They offer everything from salads and burgers to pasta, meat, and seafood. Something here to please everyone, including me and my personal favorite, duck! If you go for brunch, I highly recommend the Chorizo Hash! Ooi is definitely a family favorite! And not just for their incredible sushi, but also for their live music! They host live jazz jam sessions weekly on Sundays (I used to love participating) and occasionally other live groups on weeknights. The sushi here is always delicious and they have a huge menu. 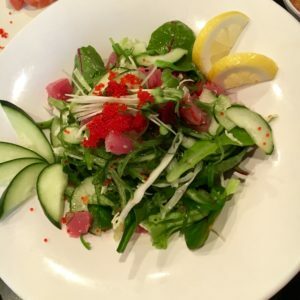 I typically enjoy a sashimi salad or sashimi dinner (no rice for me). If you ask, they will also do most of their rolls as hand rolls without the rice. The owners and staff are all very friendly! The list wouldn’t be complete without a coffee shop for those remote workers and coffee lovers! There are a number of great coffee shops in this area but this is the only one that I’ve found so far that also serves up some grain-free, dairy-free nibbles too! 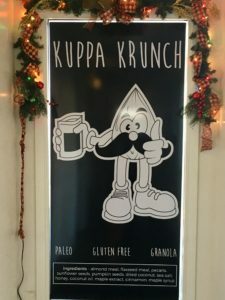 They make their own granola, Kuppa Krunch, that is delectably grain-free. You can also purchase Mammoth Bars here as a simple paleo snack. I love that they offer almond milk to go along with their fantastic coffee and granola. At the Clovis location, you will find free wifi in a cozy atmosphere and a beautiful back patio for when the weather is nice. It always seems to be buzzing here! As I mentioned, Fresno is in the heart of California’s Central Valley and a huge world agricultural hub. One of the most beautiful ways to connect with your food is to learn about where it comes from and see it in action. 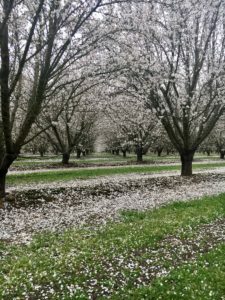 The Fresno County Blossom Trail is one of the most picturesque ways to do that! 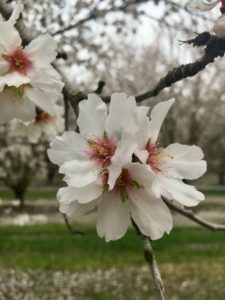 If you are in Fresno in February or March, you will be delighted to see acres upon acres of fruit trees in blossom as they prepare for the coming summer’s harvest. This “trail” (it’s a drivable road) is well marked and maintained with bike paths along the way if you are able to pedal your way through and get the bonus smells! Check out the website for a detailed map and to learn more about what you’ll see along the way. One of the greatest blessings about growing up in this area is how close it has put me to the agriculture industry. 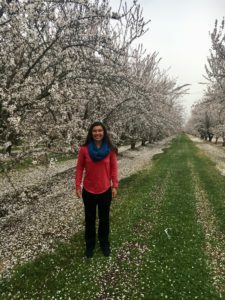 Being able to see and learn about how our food is grown and harvested has taught me so much about nutrition. 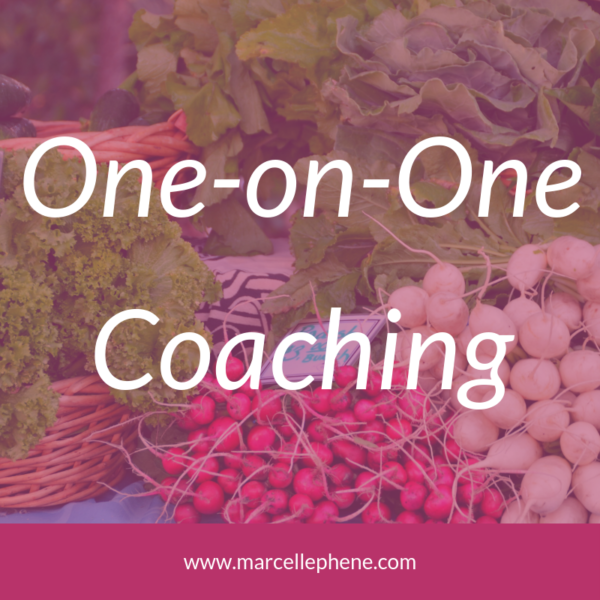 It has truly heightened my appreciation for fantastic produce! 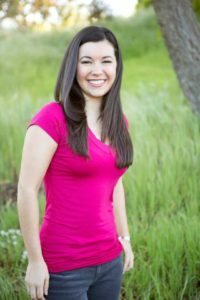 Please let me know if you have any questions or Fresno area recommendations, I love hearing from you! Spread the love and share this post with someone!